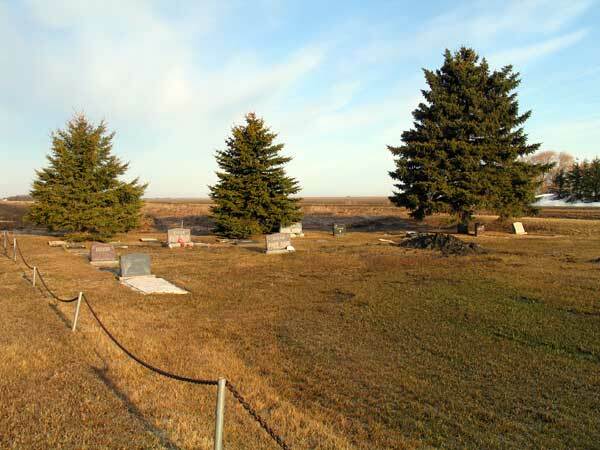 This small cemetery along Provincial Highway 305 in the Municipality of Dufferin was established in 1934. Originally part of a farm owned by Martin A. Hiebert, he donated land to the Homewood Mennonite Church for its establishment. The Hiebert farm was located directly south of the cemetery. Only a tree remains there now to mark the yard site. The Rural Municipality of Dufferin: 1880-1980 compiled by June M. Watson with the Dufferin History Book Committee, 1982, page 226. This page was prepared by Tim Schlegel and Gordon Goldsborough.